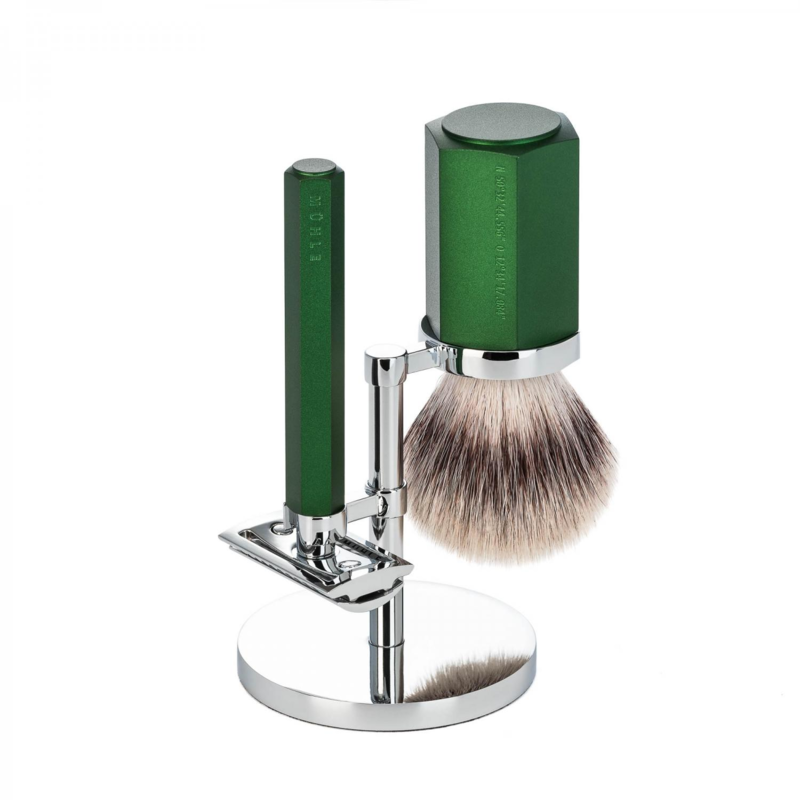 Muhle Kosma shaving Set Citrin at Edward's shaving tops. 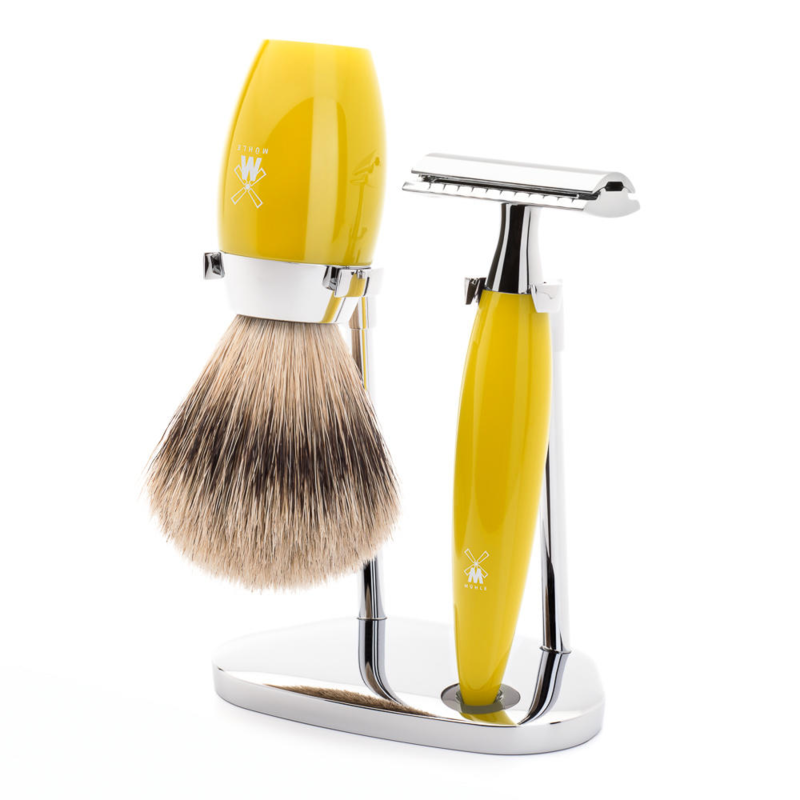 The Muhle Kosma shaving Set Citrin, is a strong member of the Muhle shaving set team. The most striking point of this set is the colour. Which set’s of a 70 s vibe. Also the safety razor included, is so very comfortable in your hand. The resin goes through several processes to meet it’s excellent gleam. The head of the razor and the neck are chrome. This high grade metal will not tarnish and the mechanism is very solid. In fact you would really have to try very hard to break this fine razor due to a screw cap screwing the whole razor together including the blade. The recommended blades, one of which comes with the razor. Are Muhle homebrand. These solid and sharp razors really plow through any grain. Helped along by the closed comb head on the razor. This razor style is classed as middle aggressive. Also considered as the best beginner razor in terms of careful shaving and learning the skills necessary. 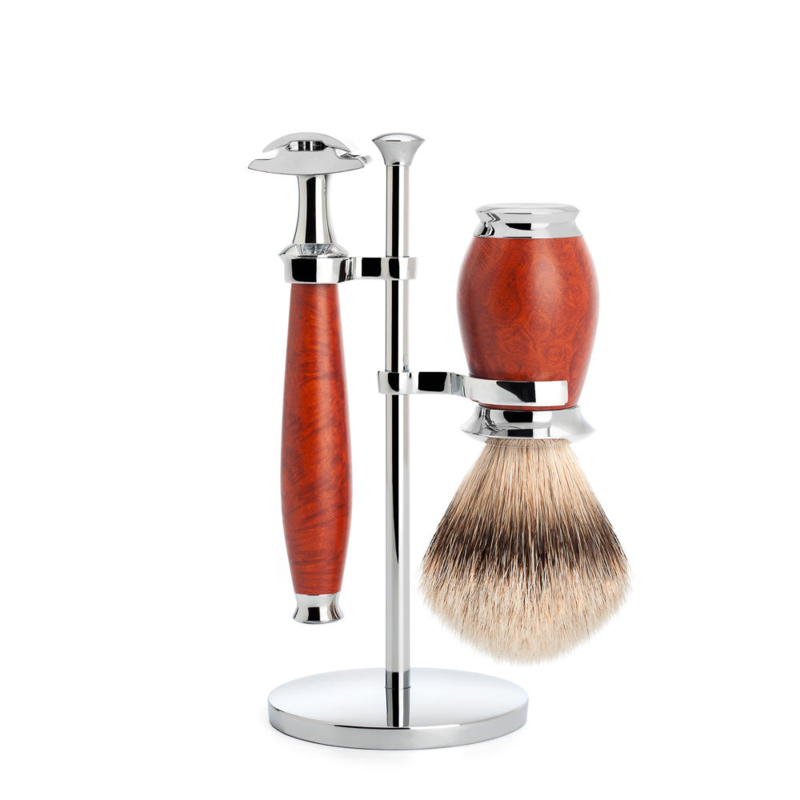 The shaving brush supplied in the set is also very high end. Being the silver tip grade. Badger hair has been the popular choice of saple since the 18th century. It is prized due to the softness and absorbant qualities. silver tip is the finest it comes from the head and neck of the Animal. 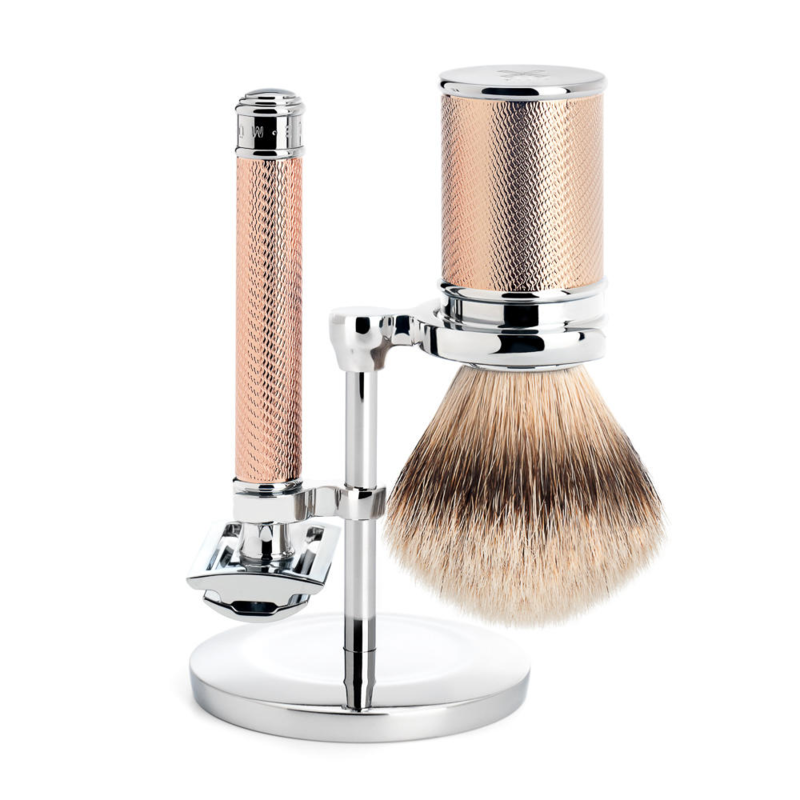 This shaving set really is lovely and will look good in any bathroom. It will require very little maintenance, just disembling and rinsing. A well looked after set will last you a good decade. For shaving technique why not look at our blog it is full of useful tips. Otherwise our lines are open for any such which questions you wish to be liberated of. We mean it Edward’s is all about customer care so give us a ring.